Dutch Flower Bulbs: How to protect your garden against the heat. We all are suffering from the heat, someone more as somebody else. But where you may have not thought about, is your garden. Weather on the 19th of July 2014, Saturday. Here are a few tips how you can control the damage of the heat. 1. Apply a layer of mulch around the plants. This protects the soil from direct sun exposure and the sun isn't able to dry out the surface soil to much. Also, the mulch reduces evaporation of water in the soil which can use all the hydration. 2. 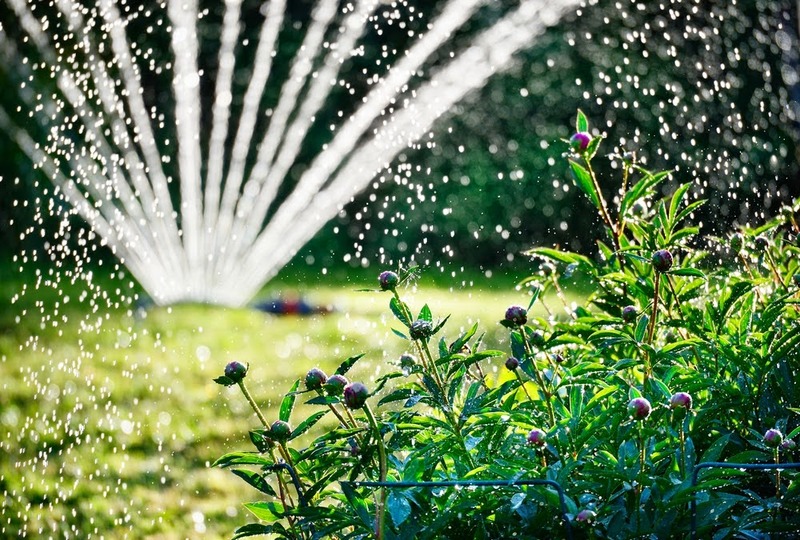 We don't think we have to say this, but of course we are going to mention it: hydrate your garden! The heat can dry out the surface of the soil quickly which dehydrates the roots. So your garden will need a thorough amount of water. The best way to do this is in the morning or late evening, when the damageable heat is gone. Why not on the middle of the day? When watering the plants, there is a chance of heat scald which can damage leaves which are watered while the sun is overhead. So remind this: heat + water = burned leaves. * Some plants may need more water than other plants and some plants don't like to have wet feet! If these tips won't work, go on to the next tip. 3. Create shade. Use a shade cloth, positioning it on one side or above the plants. Your garden don't have to be enclosed by it. Ensure your shade cloth, so the cloth can withstand the wind and won't harm the plants by falling on it. You can probably buy shade cloth at your garden center. Or make them yourself, by using from old (lightweight) sheets, old window sheets or narrow panels of wood lattice. * Plants and flowers in pots/containers, can be moved in the shadow. If the pots are to have, use an pot remover. You can use this (wooden or plastic) item on wheels to remove heavy pots/containers. 4. Wind is also a factor which can dry out the soil and mulch extremely. So some form of a fence is not superfluous. It would be ideal if it allows some air flowing in, but won't hit high winds and blow over. A metal fence can gets very hot with the heat and radiate this on to the closest plants. 5. Very often, forecasters will announce when hot days are passing by. Be prepared of the heat and start on time with preparing your garden against the heat! Check your local forecaster for your area. And at last, if all of these tips didn't help. You have tried to protect your plants with all that you could offer. But if this didn't work, plant them in the future on another spot in your garden. A spot which offers more shade and moist. We hope that we helped you with these tips. Have a great summer and enjoy your garden!